3 Bedrooms / 2 Bathrooms / Sleeps 6 Welcome to Haystack Close South! 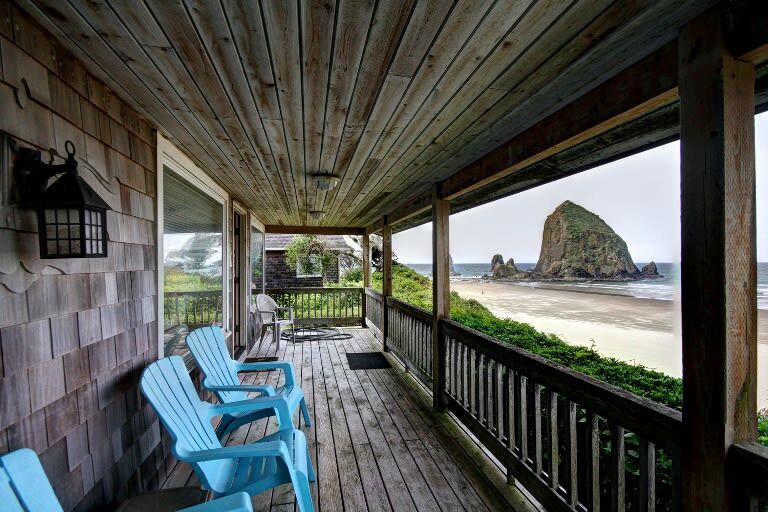 Situated just north of Haystack Rock, this classic beach home sits high above the beach, giving you spectacular panoramic vistas looking to the west, the north and the south. Reach the beach using a private staircase from Haystack South and Haystack North (each are one half of a duplex). A covered porch on the west side of Haystack South gives you the perfect place to sit and relax, barbeque, and enjoy the view. With three bedrooms (two with ocean views!) and two bathrooms (one with a claw foot tub perfect for soaking!) this home will sleep up to 6 people comfortably. After your day’s adventures – on the beach or in town – you and your family can cozy up to the wood burning fireplace in the living room. 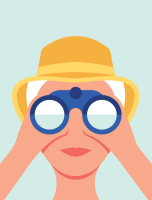 If you have a large group, you might take a look at Haystack North, as well. Combined, both halves of the duplex will sleep up to 14 people.